A rematch between heavyweight and light heavyweight champion Daniel Cormier and Alexander Gustafsson is officially no longer on the table. Right after Anthony Smith destroyed ‘Shogun’ Rua in the main event of UFC Hamburg, Smith called out Gustafsson for a fight at UFC 227. Moments later, it was reported by MMA Junkie that Gustafsson pulled out of UFC 227 due to a “minor injury”. Seeing what occurred, Cormier took to his social media accounts and had some harsh words for his former opponent. Late Sunday evening, Gustafsson’s management team released a statement on the entire situation. “Doctors pulled Alex from the card last Friday. Days before Anthony was to compete. Before that we were trying to stay on the card. Assuming we could get cleared, we were prepared to face anyone. We assumed it would be (Khail) Rountree as he was ready fight, and we were told Jan would fight at another time. We also offered to fight DC at heavyweight if he was healthy. So Alex was prepared to face anyone, ranked or unranked. But the doctor’s said he was unfit to compete. 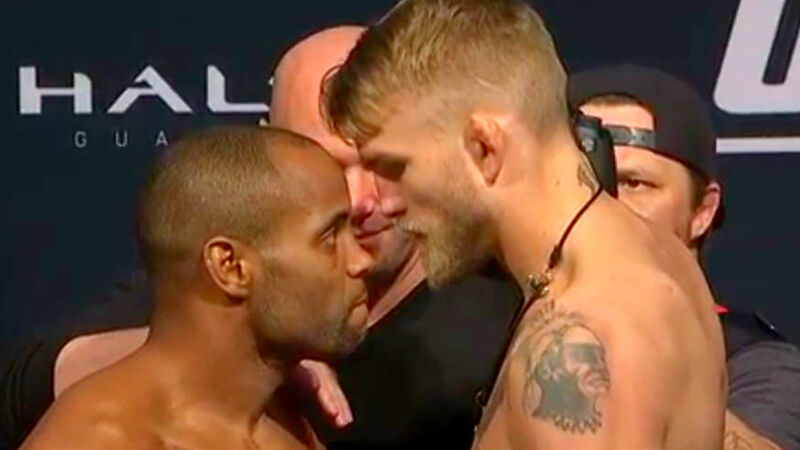 Cormier and Gustafsson had one of greatest fights in UFC history back at UFC 192 in Oct. 2015, with Cormier winning the back-and-forth battle by unanimous decision.